Our community is diverse, capable, and heartfelt. Our members and friends include dedicated senior teachers who have walked the Shambhala Buddhist path for many years, and enthusiastic newcomers who are just discovering our teachings on realizing basic goodness and building enlightened society. 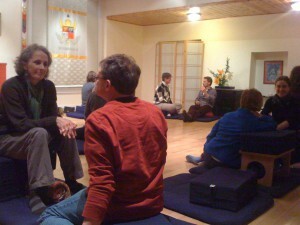 There are many ways to get to know the people in the community and tap into the Shambhala teachings. 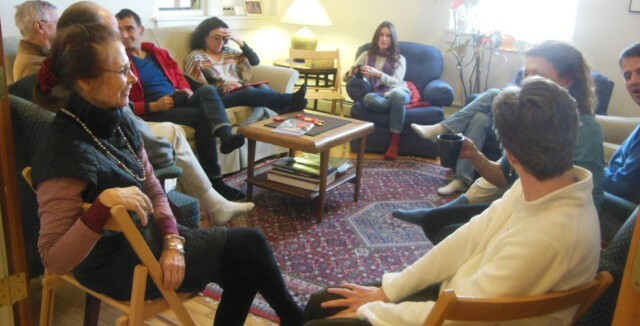 Good places to start, besides talking to the people you meet at the Center, are our monthly Open House, Shambhala Cafe, Young Adults group, and introductory programs such as Meditation in Everyday Life or Shambhala Training Level I: The Art of Being Human. Please also keep your eyes open for our periodic community meetings. To get involved with the hands-on tasks of keeping the Center open and maintained, please visit the “Get Involved” page. To learn more about how the Center is governed, please see the overview of people and roles that make up the Center’s Executive Council. Council meetings take place every third Wednesday of the month at 6:30 p.m. and are open to anyone who is interested in attending.